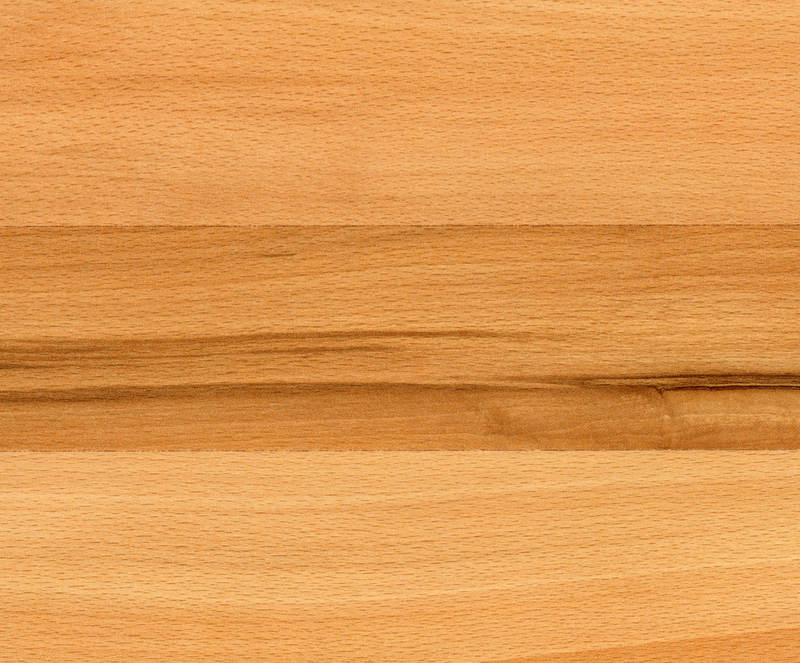 What is Beech Hardwood Flooring? A number of varieties of the beech tree can be found throughout Europe, Asia, and North America. The American Beech is the only native variety found in North America. Beech typically grows in the eastern portion of the United States and in eastern Canadian provinces. The largest production of beech trees for lumber is in the Central and Middle Atlantic states. The trees grow to be an average of 120 feet in height and can cover an area between 50 to 70 feet. The largest trees are usually found in the Ohio and Mississippi River valleys where they can live to be 300 to 400 years old. Beech sapwood is usually a pale white, while the heartwood tends to be a reddish brown. 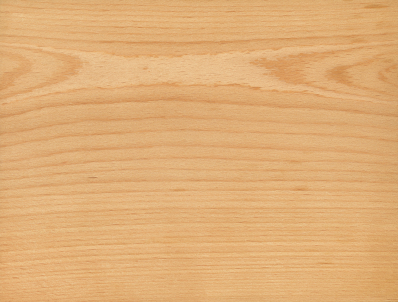 The grain of the wood is usually fine and straight with a uniform texture. The beech tree has a distinguished literary history. The ancient peoples of Asia were the first to use a written form of language. They would carve their words into the smooth and pliable bark of the trunk of the beech tree. The writings would then be cut out of the bark and were called “bok”, which eventually became the word book. While beech wood is now frequently used for flooring it has many other historical uses as well. In the past it has been used to make mortars, pestles, snuff boxes, toys, baskets, railroad ties, plywood, and brush handles. It was also desirable for food storage because the beech wood transferred no taste or smell to the contents within. One of the key ways of determining the durability of a hardwood floor is through its Janka scale rating. The Janka scale places a numerical value on the softness or hardness of a particular wood. A low score of zero indicates a wood is too soft for flooring while a high score of 4000 indicates the wood is much too hard to be suitable for flooring. The Janka scale rating of the beech wood is 1300, making it slightly harder than red oak. This rating indicates that flooring made from beech lumber is suitable for hardwood floors that would receive moderate to heavy foot traffic. Beech lumber is extremely difficult to work with hand tools which made it unfavorable in the past as a flooring option. However, with the use of machinery beech lumber is much easier to work with. Because beech lumber can shrink significantly, it is of the utmost importance that it be dried thoroughly and carefully. Once dry, it is strong, heavy, and hard. It is resistant to shock and quite suitable to steam bending. Once processed, it wears very well and is easily treated with preservatives, but it can be somewhat difficult to stain. Both gluing and nailing properties are good. It has exceptionally good resistance to wear, making it an ideal choice for hardwood flooring. The durability of beech flooring makes it a good choice almost anywhere. As with most hardwood floors, it is not recommended that beech flooring be installed in a location that will be subjected to frequent exposure to moisture or to standing water, such as in a bathroom. It is best to use beech flooring only if the natural color is desirable because of the difficulty staining this wood. The uniform color and texture of this flooring makes it a great choice for those who want a less visible delineation between the sapwood and the heartwood, or less of a pronounced pattern in the finished product. Even though beech wood flooring is relatively hard and durable, it is still a wood product, and it can be damaged. Preventative maintenance and routine care are necessary in order to retain the natural beauty of this flooring. Preventative maintenance begins with placing runners or rugs in high traffic areas such as entryways and hallways. Wearing shoes with heels on the floor can damage it over time and should be limited. Pads need to be placed under the legs of furniture and chairs to limit deep gouges from developing and to minimize damage if the pieces should need to be moved to a different location in the future. Homes with animals should make an effort to keep animal’s nails trimmed in order to prevent accidental indentions and scrapes as the animals move from room to room. Regular care is also important in maintaining the beauty of the beech floors. Sweeping on a regular basis, or vacuuming on a hardwood setting, can remove sand and dirt that can scour the polish away over time. Spills need to be cleaned as soon as possible to prevent stains from settling into the wood. Further cleaning instructions are typically dependant on the type of finish chosen for the flooring. Beech trees have long been described as the mothers of the forest because of the nutrient rich humus they provide. Beech trees produce nuts that provide food for a number of animals including birds, mice, chipmunks, black bears, deer, and foxes. The most significant mortality risk for the American beech tree is the deadly combination of insect and fungus. The insect is the beech scale. It attacks the bark of the tree, wounding it. This wound makes it susceptible to the fungi. Both N. coccinea var. faginata and N. galligena can infest the beech tree with spores that eventually will kill the tree. Currently, the only cost effective method of preventing the spread of the fungus has been cutting down affected and surrounding areas. Ornamental trees that are of high value can be saved through the use of insecticides to prevent the initial damage by the insects. Can you let me know the best way to treat and put a protective finish on a Beech floor that has been covered with corpet for about 30 years since the house was built. I would like to keep it as light as possible.